The Eastern region of England has a fantastic variety of options from which to choose your next golf holiday. East is rated 4.4 out of 5 based on 21 verified reviews from YGT customers. They played and stayed (we even checked they signed their scorecards). Although slightly more remote, Suffolk and Norfolk can supply the sought after combination of excellent golf and glorious rural scenery, while further inland we offer splendid golf break destinations in Cambridge. 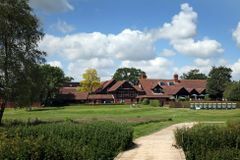 There are several great venues for a good value golf break, not least Menzies Cambridge and the Barnham Broom, both of which have two courses for a bit of welcome variety.